Over the past decade, 2020 IT Solutions Corp. has established a number of key business partnerships. 2020 IT Solutions Corp. is recognized as a leader with professional involvement in providing hundreds of restaurant clients with complete POS and business management solutions. 2020 IT Solutions Corp. is a member of technical, business and restaurant industry associations. 2020 IT Solutions Corp. is an authorized and certified HP business partner. 2020 IT Solutions Corp. is a certified Microsoft business partner. 2020 ITS is an authorized Symantec business partner. DUMAC is an authorized 2020 ITS business partner. 2020 IT Solutions Corp. is a member of the Okanagan Science and Technology Council. 2020 IT Solutions Corp. support staff have been A+ N+ certified by COMPTIA. 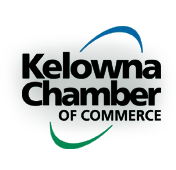 2020 IT Solutions Corp. is a member of the Kelowna Chamber of Commerce. 2020 IT Solutions Corp. is a member of the Saskatoon Chamber of Commerce. 2020 IT Solutions Corp. website and online web 2.0 applications are W3C compliant. For further information, call 1 (800) 465-2400 or Contact Us now.